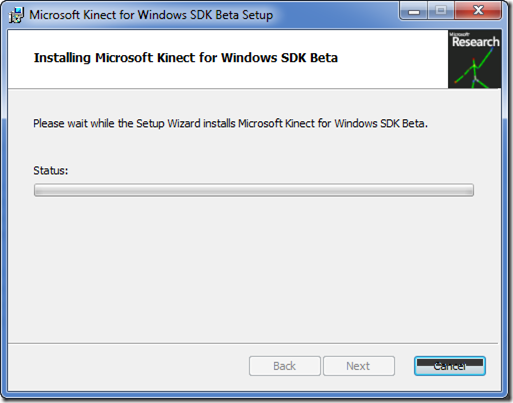 Download Kinect for Windows SDK beta – You can either download a 32 or 64 bit SDK depending on your OS. Coding4Fun Kinect Toolkit – Lots of extension methods and controls for WPF and WinForms. 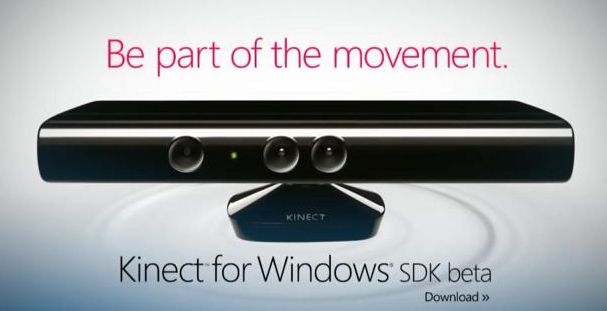 Kinect Mouse Cursor – Use your hands to control things like a mouse created by Brian Peek. 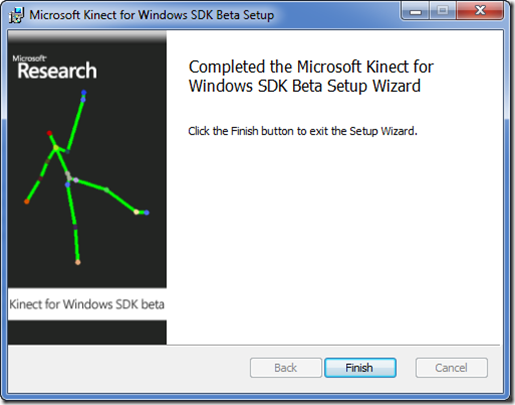 Kinect Paint – Basically MS Paint but use your hands! 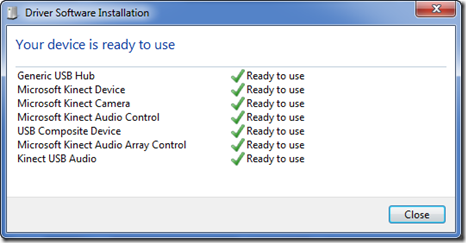 After downloading the Kinect SDK Beta double click the installer to get the ball rolling. 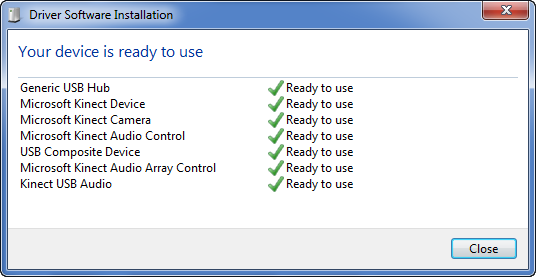 Hit the next button a few times and it should complete installing. 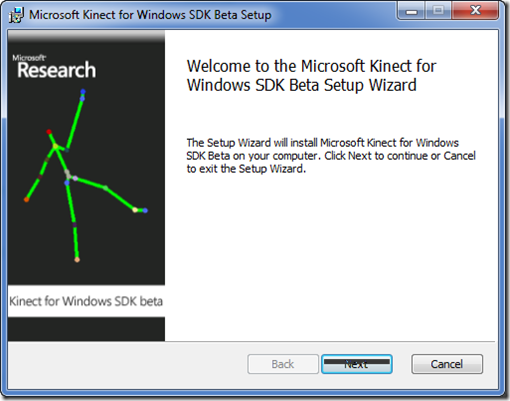 C:\Program Files (x86)\Microsoft Research KinectSDK – This contains the actual Kinect Sample Executables along with the documentation as a CHM file. 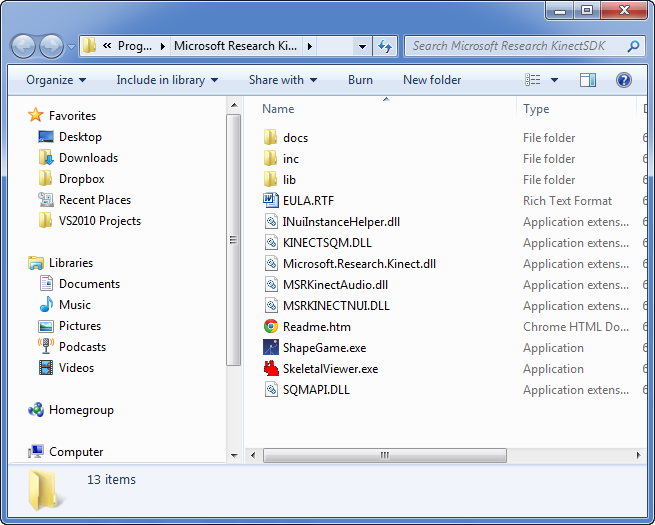 The main thing to note here is that these folders contain the source code to the applications where you can compile/build them yourself. Let’s get started with some demos. 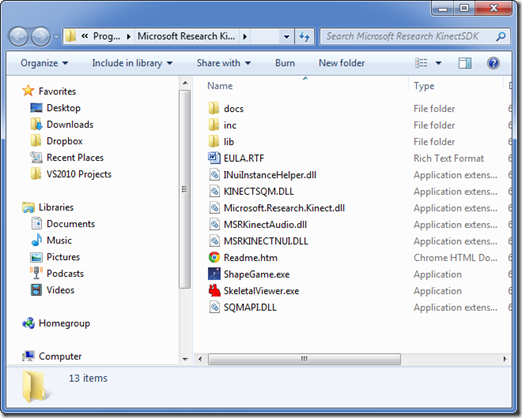 Navigate to the C:\Program Files (x86)\Microsoft Research KinectSDK folder and double click on ShapeGame.exe.